These little beauties may not the most powerful, most expensive, and they are most certainly not the biggest, but they are best all-round binoculars available on Amazon. 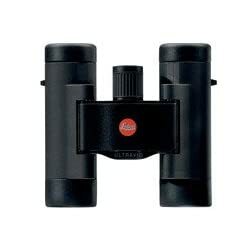 Auto Focus from 50 to 1000m, 10×25 Provides perfect field of vision and high stability. X10 magnification puts you right in the course of the action but not too close you miss the run of play. NEW FEATURE – Normally Auto Focus Binoculars aren’t suitable for object at short distances, the technology works best at distance greater than 40-50 meters, On account of this we have built in a new override to allow manual adjustment for objects at closer range. Hit the “Add to Cart” button now to profit from the special low price before it goes back up to full price! +/- IPD ADJUSTMENT & CLOSE RANGE OVERIDE! – Fine tune your perfect eye pitch and override auto focus for objects at closer ranges.